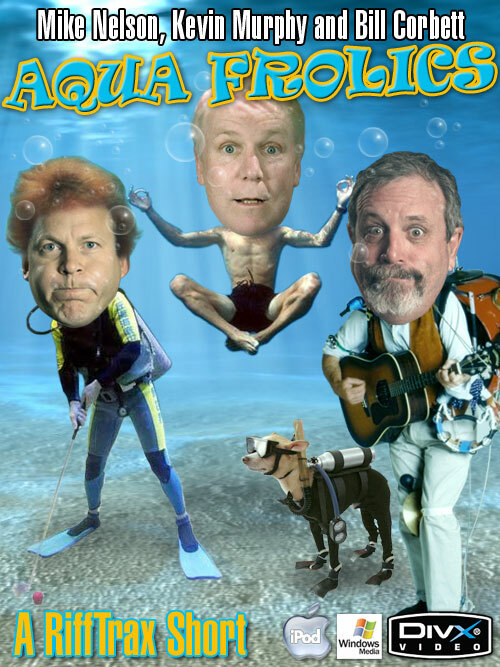 Aqua Frolics is an ADHD-style look at things that people and animals do in the water. Things like eating a turkey dinner at the bottom of a lake, feeding Minilla-sized sea turtles, cliff diving, and capsizing small canoes. This short never focuses on one thing too long. It's just one thing after another. They do a great job with pacing the riffs here. It would be easy to just let them rip as fast as you can to squeeze as many jokes in as possible, but that would just be too overwhelming and thankfully they don't fall into that. Aqua Frolics gets a chilly four underwater basketball scores out of five.